Melissa oil is extracted from Melissa officinalis of the Labiatae family and is also known as balm, lemon balm, as well as common, sweet and bee balm. This essential oil has a couple of uses in aromatherapy and helps to bring calmness to the mind, while having a great sedating effect, calming the heartbeat and palpitations. It furthermore is used to correct menstrual problems, while having excellent results in fighting cold sores (herpes simplex), as well as fungal infections to a lesser degree. 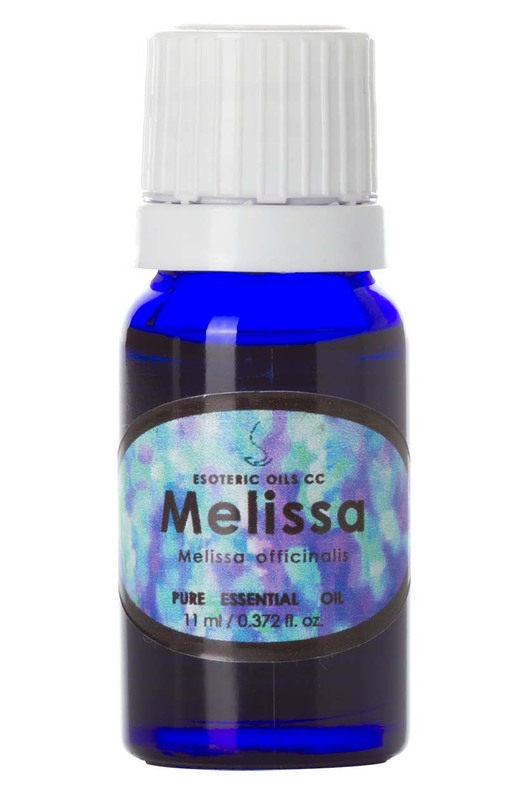 Melissa oil has a sweet, fresh and citrus-like smell and is pale yellow in color and has a watery viscosity. This plant from the Mediterranean region grows to about 60 cm (2 feet) and likes soil with a high iron content and has small serrated slightly hairy leaves and small white-pink flowers. In the 14th century it was included in tonic water made by the French Carmelite nuns and Paracelsus (1493 - 1541) called this herb 'The Elixir of life' while John Evelyn (1620 -1706) described it as "sovereign for the brain, strengthening the memory, and powerfully chasing away melancholy". Melissa oil is extracted from the fresh flowering tops, leaves and stems by steam distillation and yields 0.01 - 0.02 %. The therapeutic properties of melissa oil are antidepressant, antispasmodic, bactericidal, carminative, cordial, diaphoretic, emmenagogue, febrifuge, hypotensive, nervine, sedative, stomachic, sudorific and tonic. Although essential oils blend well with one another, Melissa oil blends particularly well with basil, Roman chamomile, rose, geranium, frankincense, lavender and ylang-ylang.